Big Bend National Park, TX 09/30/2013 The sun sets over the South Rim on the eve of the Federal Government Shutdown at Big Bend National Park. 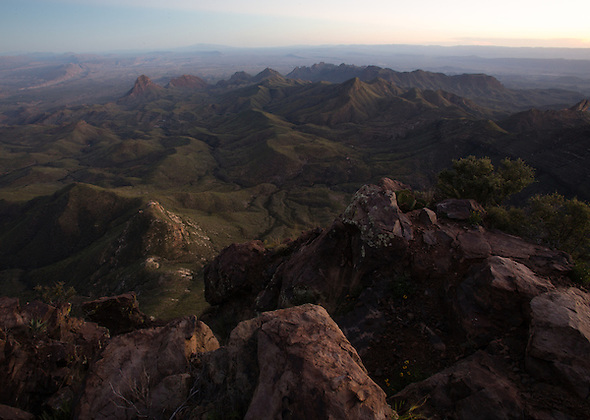 I started my overnight hike to the South Rim at Big Bend in far West Texas not knowing if the Federal Government would still be functioning when I came back down. Now it appears I’m the last one to see this magnificent sight for a while. This entry was posted on Tuesday, October 1st, 2013 at 5:14 pm. It is filed under Photojournalism, Travel. You can follow any responses to this entry through the RSS 2.0 feed.